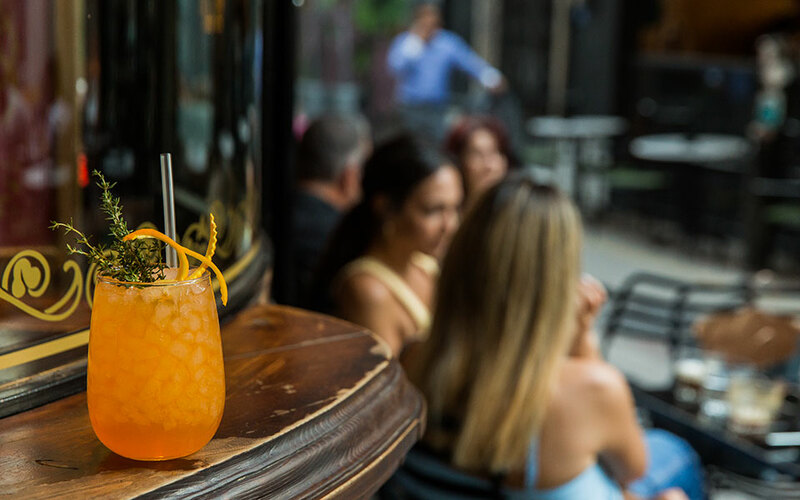 With passionate bartenders and award-winning bars, Athens is quickly being established as one of the best fine drinking destinations in the world. This text is part of the article “And the Living is A-Z”, published in Greece-Is Athens, Summer 2018 Edition. By Paulina Björk Kapsalis, Maria Coveou, Nena Dimitriou, Alex King, Maria Korachai, Pagona Lipsati & Alexandra Tzavella. Award-winning bartenders put premium spirits, fresh ingredients and fragrant herbs to good use, establishing Athens as one of the most interesting destinations for fine drinking in the world. On Kolokotroni Street, you’ll find some of our top choices for enjoying great cocktails. There’s 42 (3 Kolokotroni), for drinks in a trendy yet elegant setting; The Bank Job (13 Kolokotroni) for good music and some dancing, too; the indie/urban style Booze Cooperativa (57 Kolokotroni); and the visually stunning Noel (59B Kolokotoni), where you can try cocktails made with Greek spirits, like the one with mastic liqueur, lemon, cardamom bitters and mango soda. On the nearby Voulis Street, we recommend Barreldier (7 Voulis) for its homemade Italian vermouth and its barrel-aged cocktails. Then, there are those must-visits, too, from the World’s 50 Best Bars list: The Clumsies, no. 6 on the list (30 Praxitelous), and the authentic rum bar Baba Au Rum, no. 30 on the list (6 Klitiou).